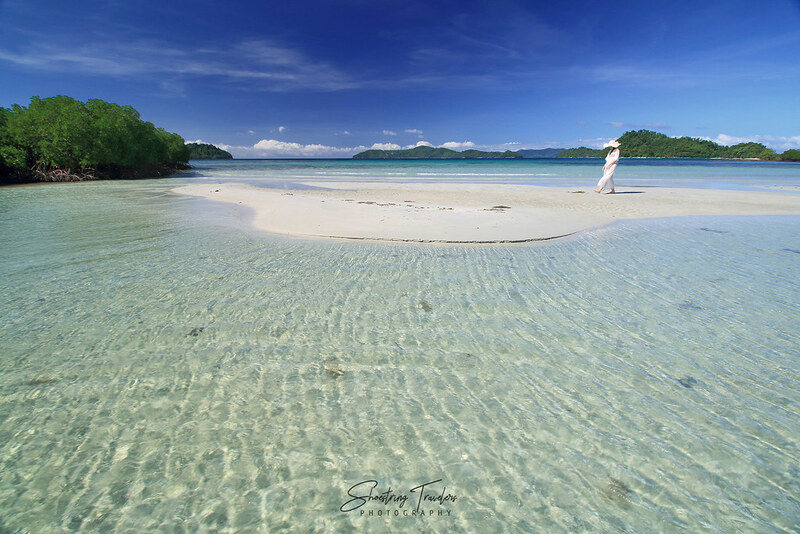 Our first day of island-hopping at Port Barton Bay had been a revelation of a secluded and not-so-well-known locale in Palawan. More was to follow however, as we set about for our second day of island-hopping off the beautiful shores of Port Barton, a fishing village in the town of San Vicente. 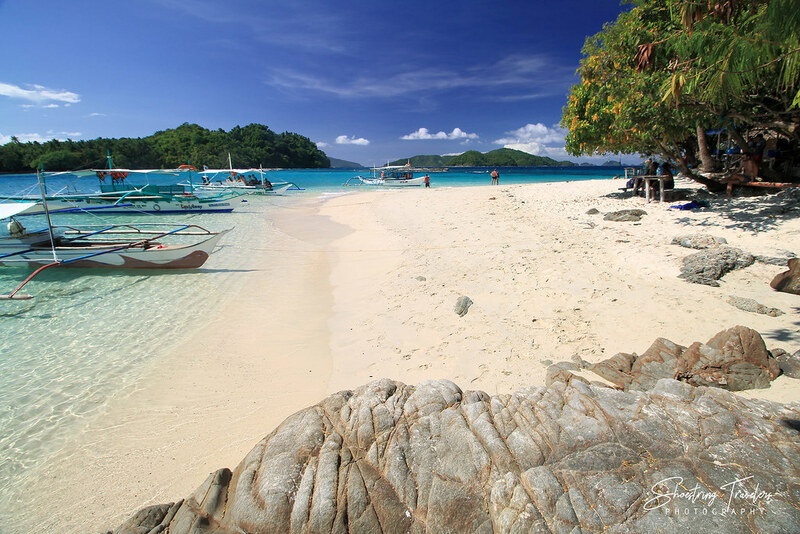 Similar to our previous day’s island hopping tour, our itinerary for the day could be negotiated and customized. For starters we were off to Aquarium Reef on the western section of the bay. This reef is perhaps second only to the quality and variety of corals and reef fishes that we encountered at Twin Reef the previous day. Much of the reef is in shallow water, making it quite easy to see and explore the corals. Our exploration of Aquarium Reef only served to reinforce our opinion that Port Barton is one of the best snorkeling spots in the country. Next was nearby Reef #5 where the corals are located at depths somewhat greater than those at Aquarium Reef. After spending a considerable amount of time in both reefs we headed north towards the islands in Port Barton Bay, towards the Turtle Spot near Inaladelan or German Island. After spending majority of our morning snorkeling we sped north to land at Paradise Island where we would be having lunch. 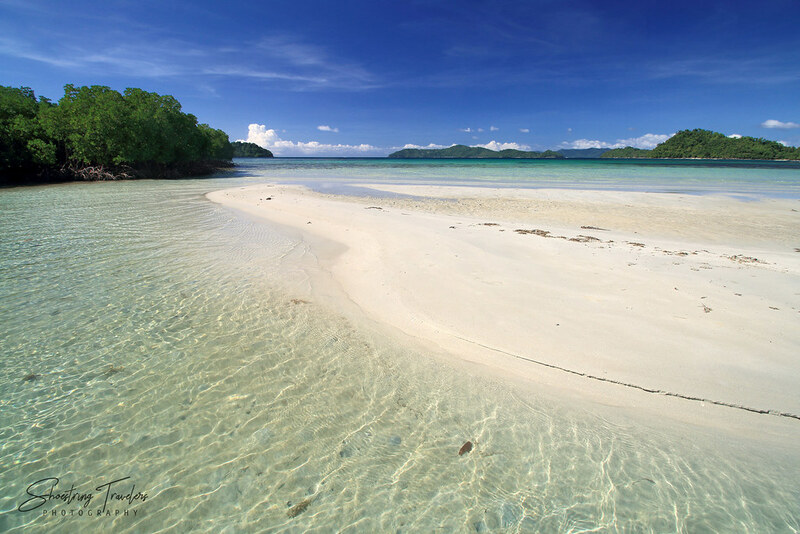 This island is another one of the gems at Port Barton Bay with its white sand beach and crystalline aquamarine waters. And there’s more to do here than just beach bum and eat lunch because the southern end of Paradise Island features a well-preserved coral reef and more snorkeling opportunities. Throwing a glance westwards from our beach at Paradise Island, we noticed a larger mass of land which turned out to be Inadauan Island in Google Maps. With at least 3 white sand beaches and an area about 3 times as big as Paradise this would have been another nice island to explore but it seems the tours at Port Barton do not include it in their itinerary. This could only mean that it’s a privately owned island where the owner has disallowed access. After lunch at Paradise Island we ventured down south. 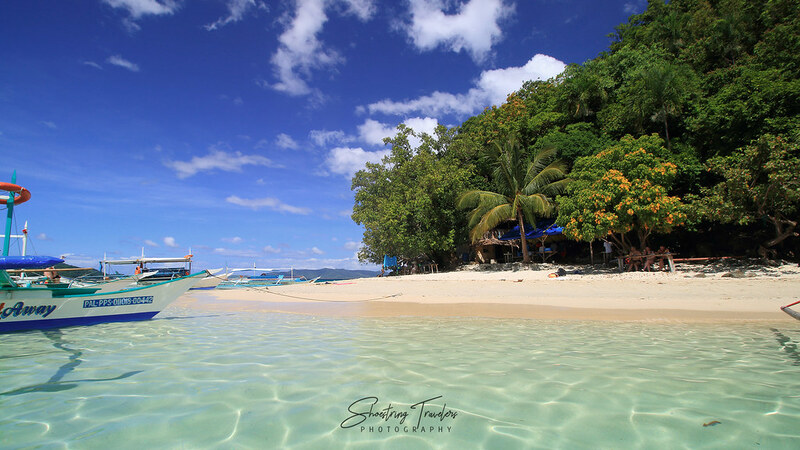 Initially we were supposed to head for Capsalay Island but our boatman decided to head instead for Smart Island – a destination that we only saw once or twice in brochures and posters advertising the island-hopping tours in town. Sensing our penchant for landscape photography, Richard thought that this island would make for a better photo subject. It’s also a not-so-frequented destination here. When we asked him why the name Smart Island, Richard said it was because of the SMART cell tower located on the island. (This was the reason we were getting good internet phone signals even while we were island-hopping.) Smart Island is actually just an extension of the larger Maroday Island, with land bridge of cream-colored sand connecting the two. There are native huts and hammocks at Smart Island with a store providing drinks and snacks – a nice place to doze off after snorkeling in the nearby reefs or having lunch in one of the islands nearby. But the real attraction here is a white sandbar surrounded by very shallow water east of the island. A group of Russians arrived here right after we did and proceeded to do a photoshoot. A young Siberian lady kept wandering into our photo frame but we weren’t complaining. After a brief rest at Smart Island we revisited the Twin Reef, again for the benefit of our French boat mates who it seems were touring the islands and reefs here for just one day. Again no complaints. Twin Reef has such gorgeous underwater scenery we didn’t hesitate to snorkel again although the waves were too strong at this point and water kept entering our snorkels. The last stop for the day was again at Starfish Sandbar where we finally took the time to observe the starfish underwater. In retrospect it probably would have been better to visit this sandbar earlier during the day when the sun’s position would have highlighted the turquoise color of the water and the white color of the sand. Nevertheless, our island-hoping tours in Port Barton is still one of the most memorable in recent times. 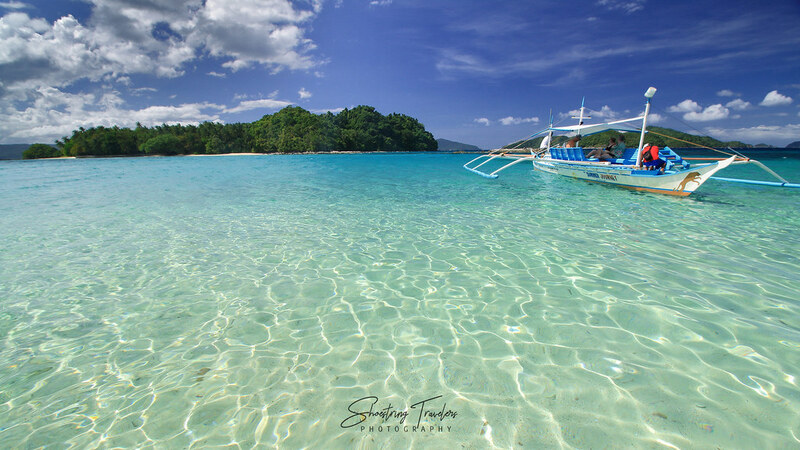 Posted in Palawan, Travel PhilippinesTagged Aquarium Reef, beach, featured, island-hopping, Palawan, Paradise Island, Port Barton, San Vicente, Smart Island, snorkelingBookmark the permalink. Glad to have found your blog! Instant fan here 😃 I’m a newbie blogger based in southern Palawan. Hope you could visit this part of our province in your next trip, maybe this summer. Thanks for visiting Keith! Yes we’re actually looking forward to visiting So. 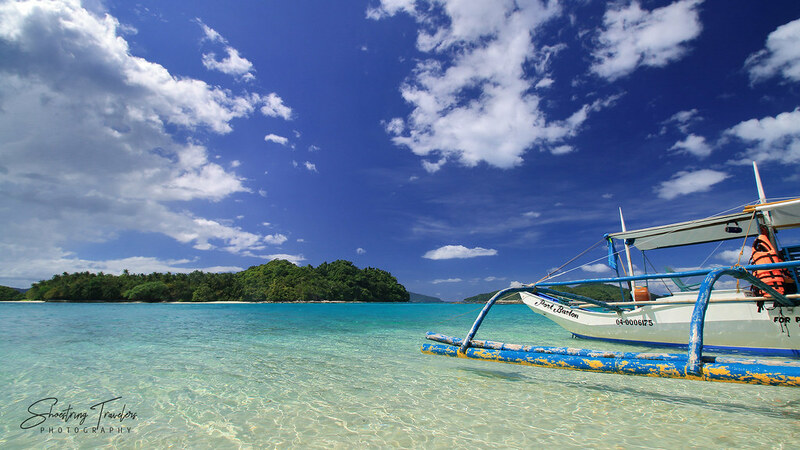 Palawan, especially Balabac but we’ve already sheduled some trips this summer. Looking at summer 2020 or even December this year, God-willing.